Escoublac-la-Baule is 13 kilometres west of St Nazaire and the Cemetery is south-east of Escoublac and east of La Baule, and will be located behind the small airport. The cemetery is well signposted. The cemetery was begun with the burial of 17 British soldiers killed in the area during 1940, 21 others who died in local hospitals, and a number of British servicemen whose bodies were washed ashore after the sinking of the troopship “Lancastria” in the Bay of Biscay on 17 June 1940. Subsequent burials include men killed in the St. Nazaire raid in 1942, and airmen shot down in the area. 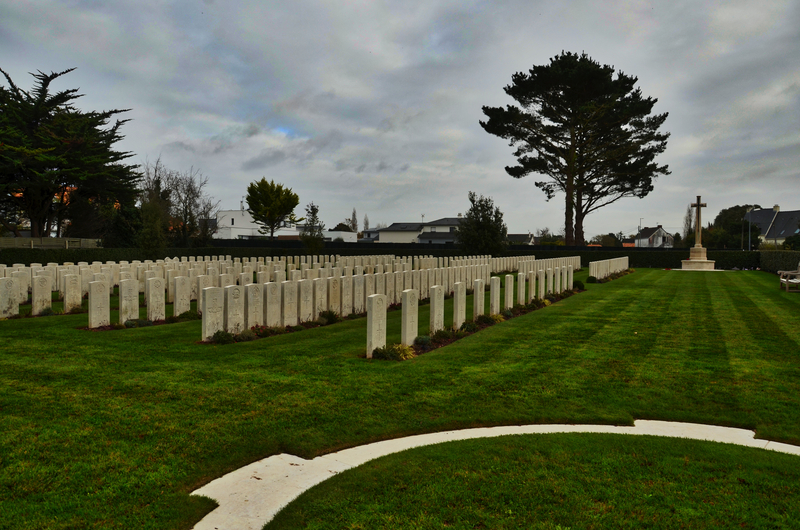 The cemetery now contains 325 Commonwealth burials of the Second World War, 74 of which are unidentified. 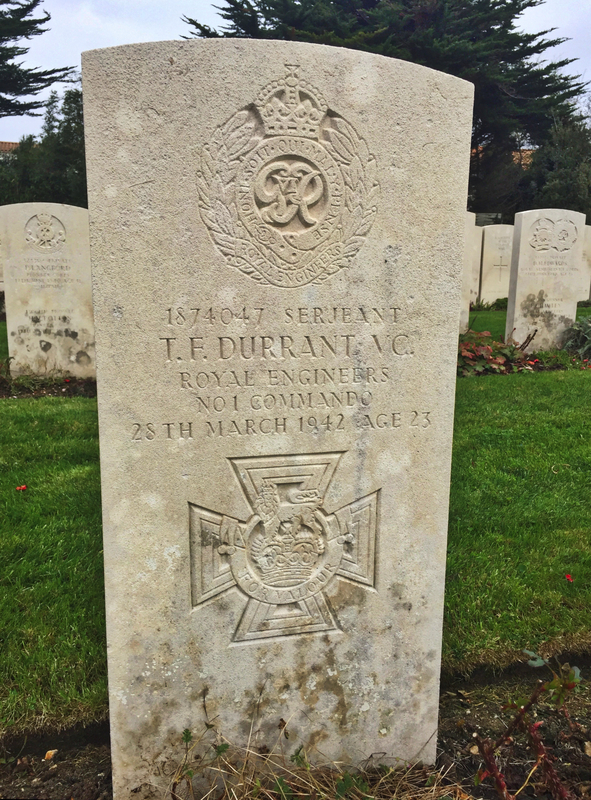 Three Polish servicemen are also buried here and one man of the Merchant Navy whose death was not due to war service. Throughout the German occupation, Louise Jaouen, a resident of La Baule, dedicated all her time and energy to maintaining the graves. With money collected secretly from the generous local people she provided a cross for every grave and a small monument, had hedges planted, and employed a permanent gardener to tend the cemetery. Her devotion to this work was later honoured by the award of the King’s Medal for Service in the Cause of Freedom. The burials in the cemetery are dominated by two main events: those who died when the RMS ‘Lancastria‘ on 17th June 1940 and the Saint Nazaire Raid, Operation Chariot, on 28th March 1942. The ‘Lancastria’ was a troop ship rescuing soldiers from the 2nd BEF who had landed in Normandy after Dunkirk only to be withdrawn almost as soon as they arrived. The ship was dive-bombed and sunk with the loss of over 4,000 lives; the greatest loss in British maritime history and in 1940 accounted for almost a third of the British Army’s fatal casualties. There was a great mix of units on board the‘Lancastria’ and this is illustrated here; many of them are older men, most of whom were veterans of the Great War. On 28th March 1942 H.M. Motor Launch 306 was heavily attacked while proceeding up the river Loire in the raid on St Nazaire. Serjeant Durrant in charge of a Lewis gun in a completely exposed position engaged enemy guns and searchlights on shore. He was severely wounded in the arm but refused to leave his gun. 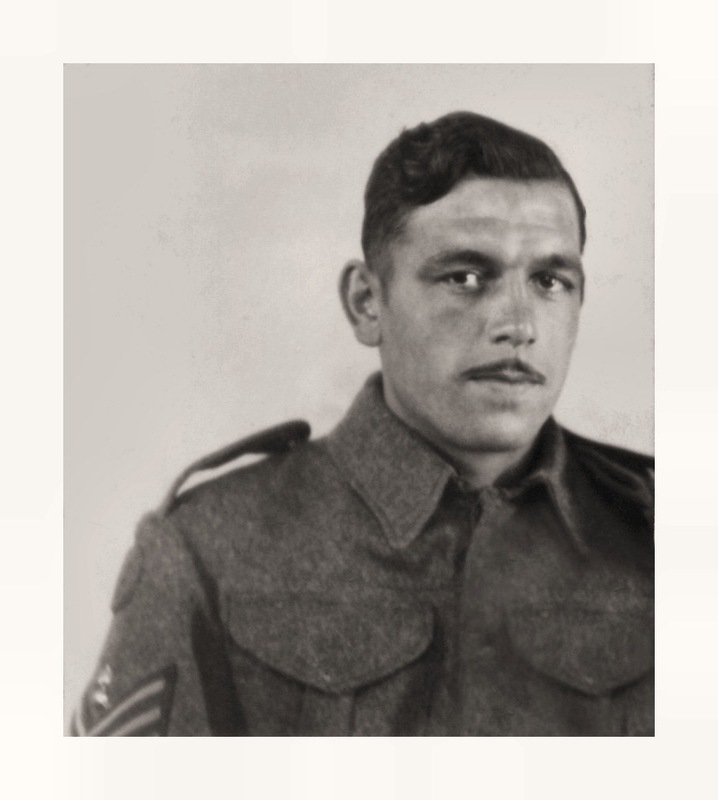 Later when the launch was attacked at close range by a German destroyer, Serjeant Durrant fired cooley and continuously at the destroyer’s bridge drawing on himself the enemy fire and suffering many further wounds. When so weak that he had to support himself on the gun mounting, he went on firing until his gun was silenced and the enemy boarded the motor lauch and took prisoner those still alive. This very gallant and skilful N.C.O. died later of his wounds.